Thanks so much guys for your input on Thursday's post. It really helped me to narrow my focus for the color challenge this month. Can you guess what color I chose to focus on??! Most everyone said that yellow was the color that sent chills up their spine, so I figured we'd face our fears head on. From Margie Deeb's book, The Beader's Color Palette, I chose an art palette. 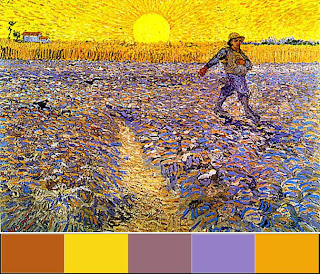 This time it's The Sower with the Setting Sun by Van Gogh and I tried to narrow the palette down to just a few colors to keep it easier to work with. This palette is definitely a stunner and the colors are intense, vibrant, loud. 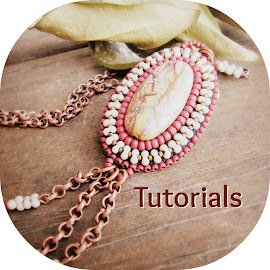 Don't forget to check out Margie's book for the Delica #'s to really nail down the palette! Okay, here's my palette for this challenge. It still uses yellow, but is a slightly more muted version as opposed to the intense colors above. This palette really uses the neutral tan and a little mocha while keeping yellow and blue as accent colors rather than the focus of the palette. I hope between the two of these, you'll find something to float your boat! Here's the guidelines and dates to recap. 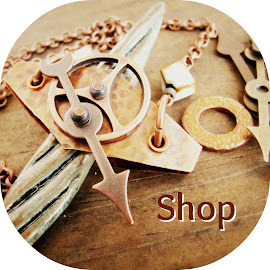 - The challenge is to make a wearable piece of jewelry by employing one or both of the color palettes. You may use any materials you'd like. - We'll have an inspiration round-up on March 7th, which means that you can post on your blog a sneak peek of your project, or you can create a treasury, or maybe show some inspiration pieces that you found on Etsy. - The reveal date will be April 2nd, which means that you have a full month to create your piece(s)! On that day, just post a picture of your piece and come back here to link back so we can all see! I hope you enjoy the palettes for March! Marcie - you made me guffaw when i read that first paragraph!!!! 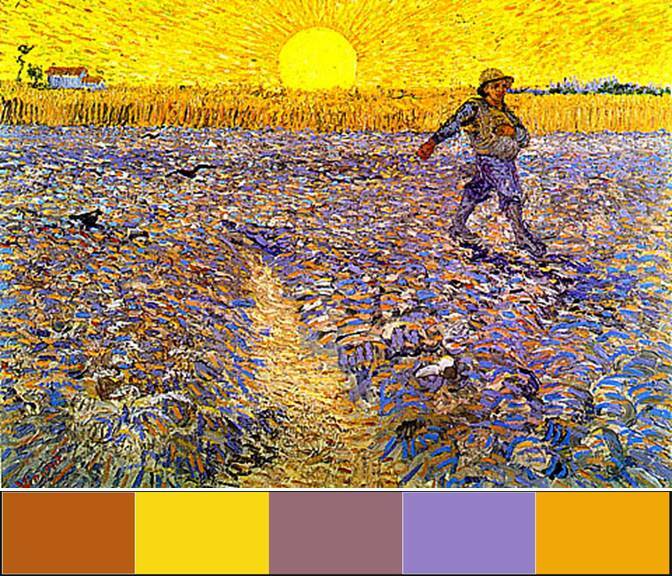 However, that is the most scrumptious grouping of colors including yellow that I've ever seen that Van Gogh painting. Can't wait to attack this one and really grateful for the time allotment! My eyes are crossing, and I still have a ton of bead soupers to check out, but I knew I wanted to get over here and join in the yellow! So funny, after that post on Thursday, I stopped by my LBS, and saw yellow everywhere I looked! Got some great ideas already. I was quite excited to see that there's a new Margie & Me challenge! And a Van Gogh! 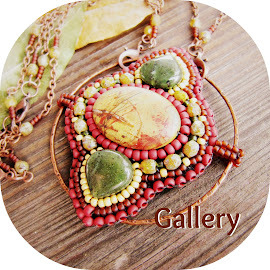 I was actually planning on doing a Van Gogh Palette Series of jewelry..so this is just perfect! Ouch! You want to torture us with that yellows, huh? ;-) I do not have a lot of yellows in my stash, but some beads come very close to Van Gogh's yellows. BTW, I read that a certain yellow pigment in his paintings tends to turn brown in natural daylight. So sad as yellow is one of his main colors and I especially love his sunflower paintings.